Go to your Azure Active Directory. Fill in a valid Name and Sign-on URL (Preferred URL: http://localhost ) in the given fields. Click on Create and a new app with the entered details is created. Assigning the necessary permissions to the app designated for Cloud Security Plus. Click on the Subscription tab in the main menu. Choose the subscription you wish to monitor. Choose the necessary role from the given list. The minimum permission required for Cloud Security Plus to collect logs is Reader. Select the Cloud Type as Azure. 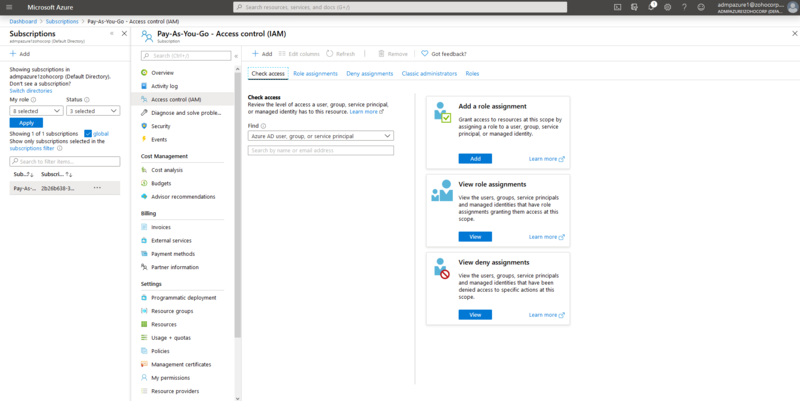 Enter the following details to enable Cloud Security Plus to start collecting Azure activity logs. To view the domain name, go to the Azure Active Directory → Domain names. To view the application ID, go to the Azure Active Directory → App registrations. The Application ID of the app appears in the top-right under Essentials. Click on the Settings of the designated App in the Azure AD. Click on Keys in the API Access tab. Enter a suitable Key description and duration. Click on Save and the secret key will be generated by the portal. 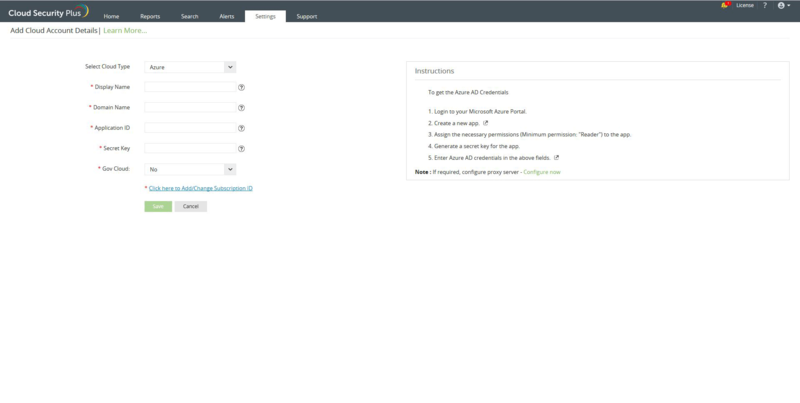 To view the subscription ID, click on the Subscriptions tab in the main menu in Azure AD (Left side pane).